Building home equity is the most secure route to financial freedom. For the vast majority of Americans, a home is the greatest asset ever owned. With this in mind, the sooner you can own the asset out right and stop mortgage payments, the sooner you gain all the rewards that come with owning a home. Having home equity is only one portion of an equation. Once you have it, you also have the ability to use it. This means you can take loans against the equity, essentially placing your home as collateral, at a very low interest rate. Home equity loans become less risky once you have paid off your mortgage. A mortgage, or rent for that matter, is the biggest bill a person will pay each month. Without this debt, the money can be applied to any number of luxuries or investments. 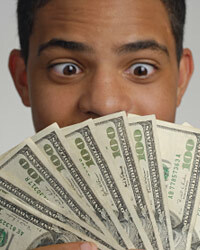 You will find much more spending cash and saving cash without a pricey mortgage payment. Once you have a lot of equity in your home, you will realize large profits from a home sale. For retirees, selling a large home and moving into a smaller living space can provide financial stability for the remainder of a lifetime. Abstract of Title vs Chain of TitleWhat is a Car Title Loan3 Situations a Car Title Loan Can HelpHow Do VA Home Loan Interest Rates Differ from Standard Home Loan Rates?